The IPKat learned this morning that Sir Nicholas Pumfrey, recently elevated from the Patents Court for England and Wales to become a Lord Justice of Appeal, passed away on Christmas Eve following a stroke. The Kat, in common with many, many other people, greatly enjoyed his company and valued his opinions. Whether he was discussing principles of IP law, reminiscing about his own professional experiences, encouraging those following in his footsteps, or discussing the pleasures of the pedalo, his warm and friendly personality shone through. Only nine days ago Sir Nicholas gave a highly-publicised ruling in Murphy v Media Protection Services Ltd (noted here on the IPKat), upholding the conviction of a publican for an offence under the Copyright, Designs and Patents Act 1988 when she sought to obtain the transmission of live football matches from Greece, but agreeing to refer questions arising from competition law to the European Court of Justices. On behalf of all the readers of this weblog, the IPKat sends sincere condolences to his family and prays that they will be spared all further sorrow. Sir Nicholas Pumfrey took a first degree in physics, at St Edmund Hall, Oxford. I was in his year, and my first memory of Nick goes back to a JCR meeting, when he stood up to join the (somewhat heated) debate with some helpful observations. We were all wearing what students wore in 1969 but Nick was wearing a sports jacket for goodness' sake. Jeremy, you describe his personality as "warm and friendly". How right you are. That was very evident when Nick was at University. I would add "generous". I am one of the weblog readers you cite, who wants to join with you to offer his deep condolences, and I think that all his fellow students at St Edmund Hall would want to join you too. Roy Marsh. I first met Nicholas in 1974 since when he has been a great friend. He was a colleague in chambers until his appointment to the bench in 1997. His technical knowledge and legal erudition were incomparable and he could always be relied on for answers to the most thorny problems. But more than that he was a man of great civilisation and kindness. We will miss him enormously. 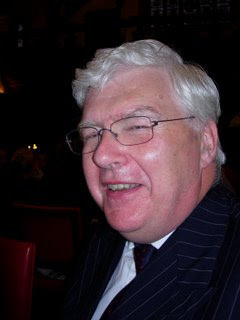 His funeral will be held in Temple Church at 5pm on Monday 14 January 2008. Further to Michael Silverleaf's post, above, I have been informed that the time of the funeral has been brought forward from 5pm to 4.30pm. Football broadcast match to go to Europe? Last chance for pat lit reform in Europe? Nothing to do over the winter break? Extra-territorial jurisdiction by the back door?